I contracted Devine Building Services on a gut feeling, as I somehow felt that Derek Devine was someone I could get along with. Happily I found this to be accurate. Derek was in all cases a professional and I can honestly say that I was more than happy with the quality of his workmanship and the staff that he had working for him. Punctuality and attention to detail is his trademark. He was also very accommodating during the whole build process, as we where still living in the house whilst the building work was going on. An example of this was that I needed a temporary kitchen set up which they kindly assembled for me. At any time, I was having difficulties, there was absolutely no issues trying to resolve them. There is no doubt that having a build job done is a stressful event, but this particular experience was made quite easy by Devine Building Services and this I thank them for. I wish them all the success in the future and I can happily recommend Derek Devine and Devine Building Services to anyone considering the daunting idea of a building project. 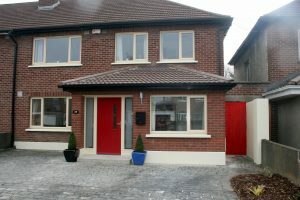 Customer Testimonial – Raheny, Howth Rd..
Devine Building Services Ltd recently completed our house renovation and large side and rear extension on our new home. The professionalism throughout the build from the initial site meetings, help in the design and layout, and the building process right through to completion was excellent, any queries or changes during the process were always dealt with priority and excellence.Having met with Derek before the project began we knew straight away that we would have a good relationship and knowing that he would be Project Managing the whole process took all the stress out of it. We also found that their price was very thorough and very competitive with no hidden extras, especially in the current climate. We would absolutely no hesitation in recommending Devine Building Services to others to get their building work done, however big or small. Customer Testimonial – Platin Rd, Drogheda. 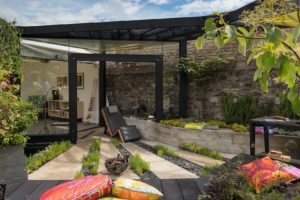 Customer Testimonial – Artane, Dublin. We found Devine Building Services excellent. Derek is extremely efficient and has a great eye for detail and nothing was too much for him to accomplish. All the finishing touches where first class and his interior design ideas where second to none. He was also very accommodating during the whole build process e.g. he even managed to salvage our fitted wardrobes that where only 2 years old even though weâ€™re sure it was a massive inconvenience to him when insulating and re-plastering all our rooms. He was very accommodating with any last minute changes we wanted to incorporate into the build. Indeed, all his team where top class in their work and on a personal level and they always cleaned up immaculately after themselves. The whole build was done to perfection and surpassed all industry standards and regulations. 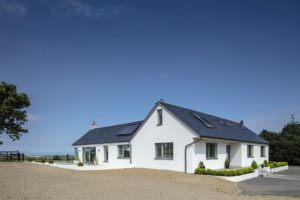 Having three small children the task of extending was a challenging one and we just canâ€™t imagine how difficult things would have been had we not contracted Devine Building Services and would have no hesitation in recommending Devine Building services to anyone. 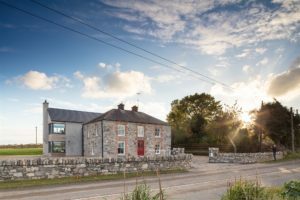 Our main stipulations for our rear extension was that we would have as much natural light as possible and that it would be well insulated as our original kitchen was cold and dark even on the brightest of days. What we got was a bright well insulated open plan room which incorporates our kitchen, dining and living area. I am still amazed at how bright it can be even on the rainy days. Derek and his team were very professional and I wouldnâ€™t hesitate to recommend them to anyone. Customer Testimonial – Castlewood, Dublin Road. Devine Building Services put a 3 story gable end extension onto our family home, they made a difficult process so easy for us. The finish is top class, they only went 2 days over on a 4 month job and completed on budget. Derek and his team have a desire to please and delivered to us on every promise and commitment they made. I have recommended Devine Building to both personal friends and business acquaintances and everybody says the same thing â€˜a great job completed by great peopleâ€™ ..